Reading and share top 1 John B Muciaccia famous quotes and sayings. 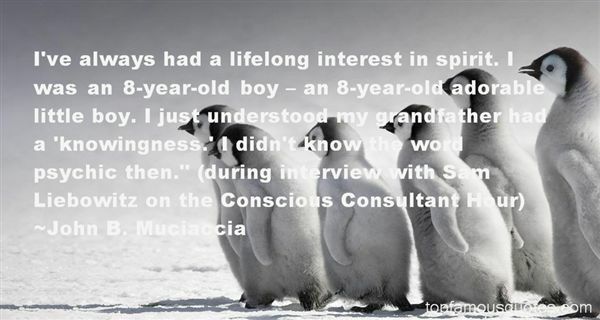 Browse top 1 most favorite famous quotes and sayings by John B Muciaccia. And I didn't mean to shut her out, but sometimes I did it anyway. I liked having power. Power is its own kind of magic."